“This app can’t run on your PC” is definitely not Chinese to you, especially if you’re a Windows 8 or Windows 10 users. This feature is called SmartScreen filter. It’s designed to keep you save from malicious programs, web pages and/or websites. 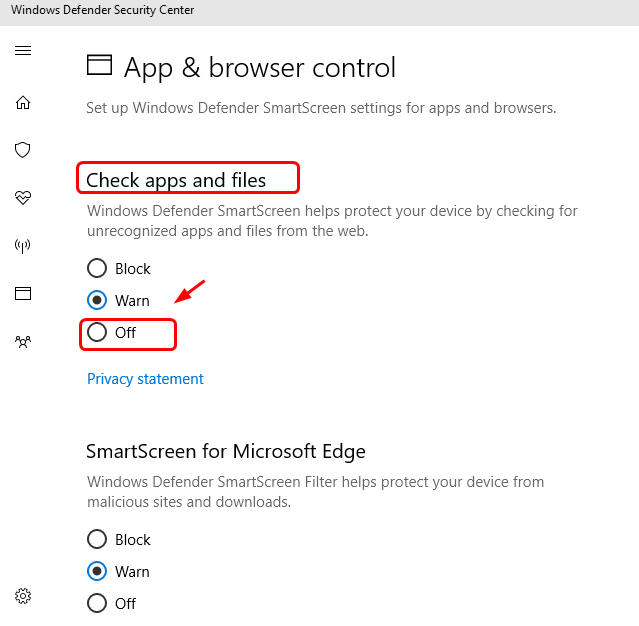 In normal cases, it pops out when Microsoft decides that certain apps you are to open would be harmful to or not appropriate for your operating system. 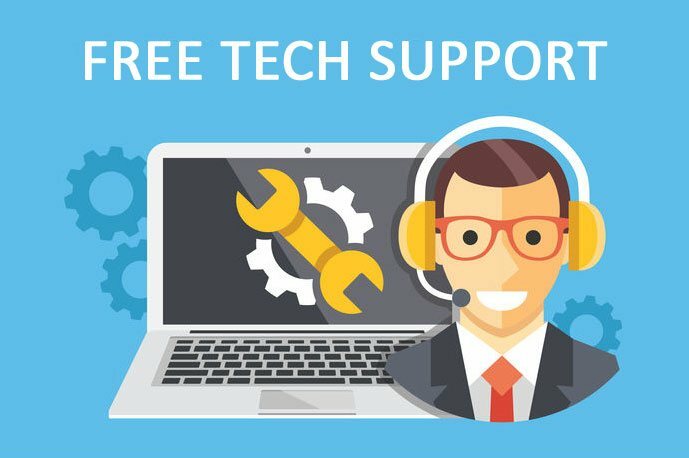 However, it can be too sensitive sometimes to a point where you can’t even open some of the basic programs which you’re sure to be problem-free. Not to worry much about it. Annoying as it seems, it’s an easy problem to solve, as long as we find out what cause it. Just follow the instructions below and you will easily get it fixed! One of the most commonly seen reasons for this error message is that you have downloaded the wrong program for your operating system. For example, you’re in Windows 32-bit, but you download a program for Windows 64-bit OS. Double-check the program you are to install, and make sure that you have the correct setup files downloaded. 1) On your keyboard, press the Windows logo key and I at the same time. Then click Account. 2) On the left side of the pane, click Family & other people. On the right side, scroll down a little bit to locate Other people section. 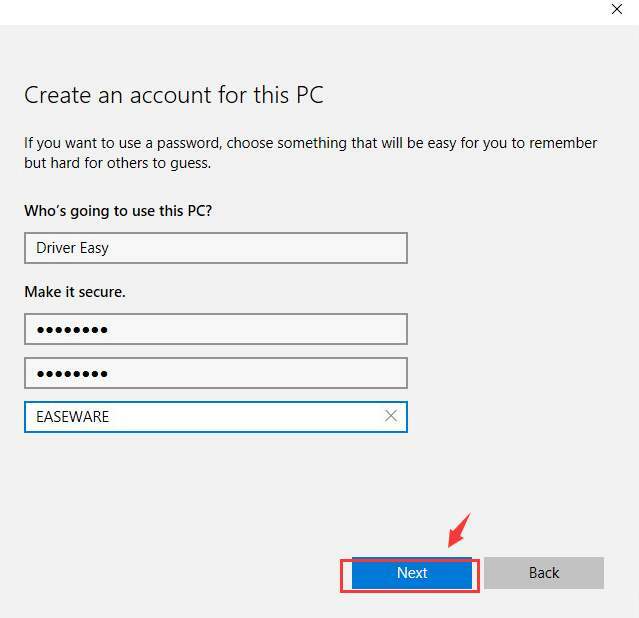 Then click Add someone else to this PC. 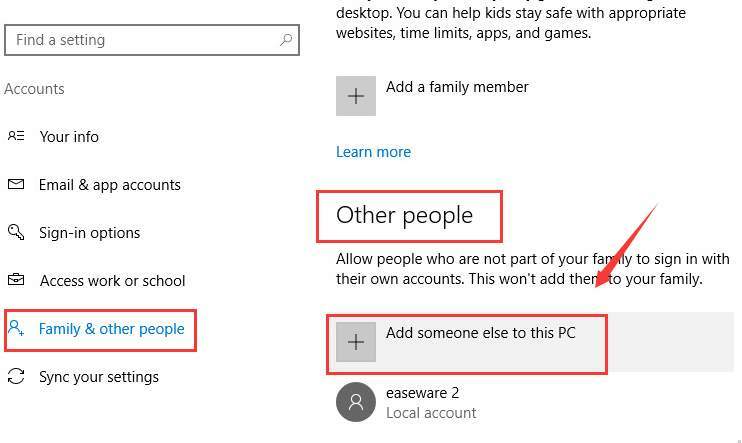 Note: On some versions, the listed options could be Family & other users and Other users. 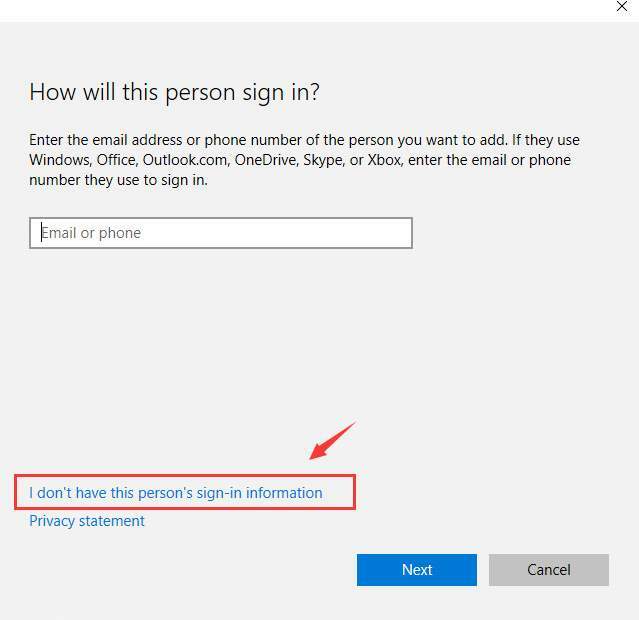 3) Click I don’t have this person’s sign-in information. 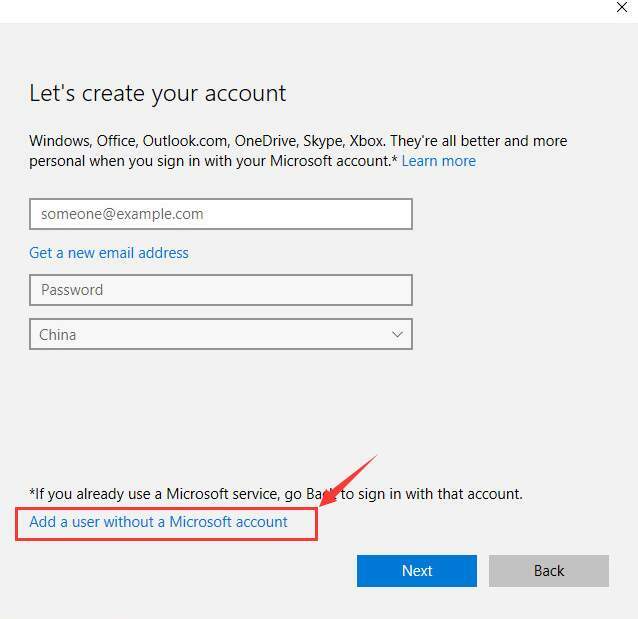 4) Click Add a user without a Microsoft account. 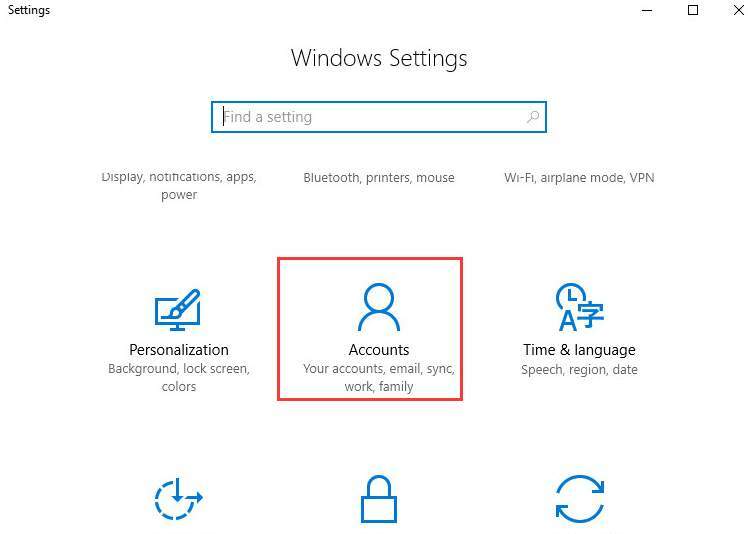 5) Finish typing in your personal information for your new account, and click Next to continue. 6) You should be able to see the new account just created. We need to click it and click Change account type. 7) Click Administrator. Click OK to save the change. 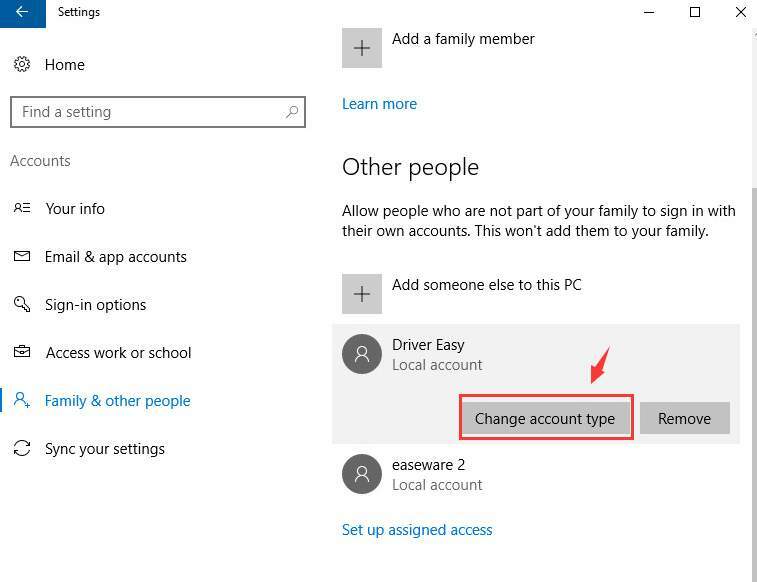 8) If switching to a new administrator account solve your problem, you need to move your personal files and folders to this new account and use it from now on. 1) On your keyboard, press the Windows logo key and S key at the same time to evoke a search box. 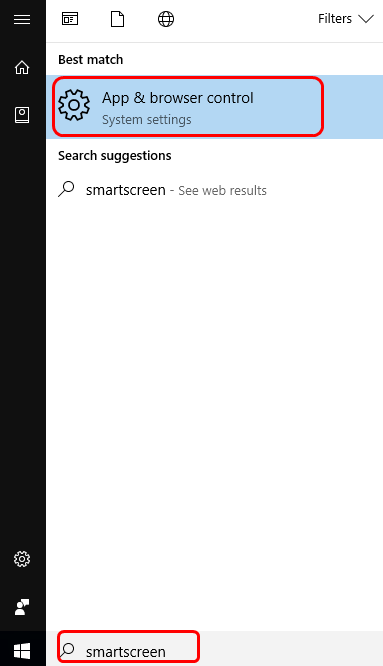 Type smart screen in the search box and click App & browser control. 2) Click the Off option under the Check apps and files category. 3) You need to provide administrator approval to proceed. Click Yes at the User Account Control window to continue. 4) Try to reinstall the app you wanted to install now. See if the notification appears again. NOTE: This option is recommended only when you have 100% trust in the app publisher. 1) On your keyboard, press the Windows logo key and I at the same time. 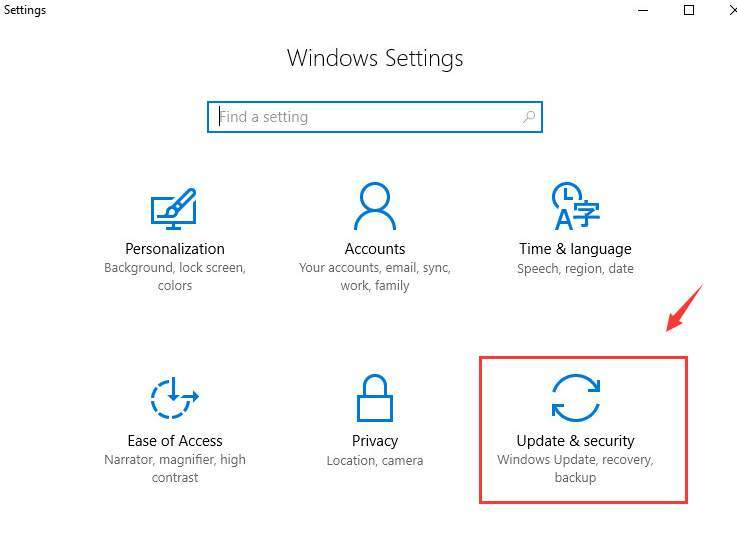 Then click Update & security. 2) On the left side of the pane, click For developers. 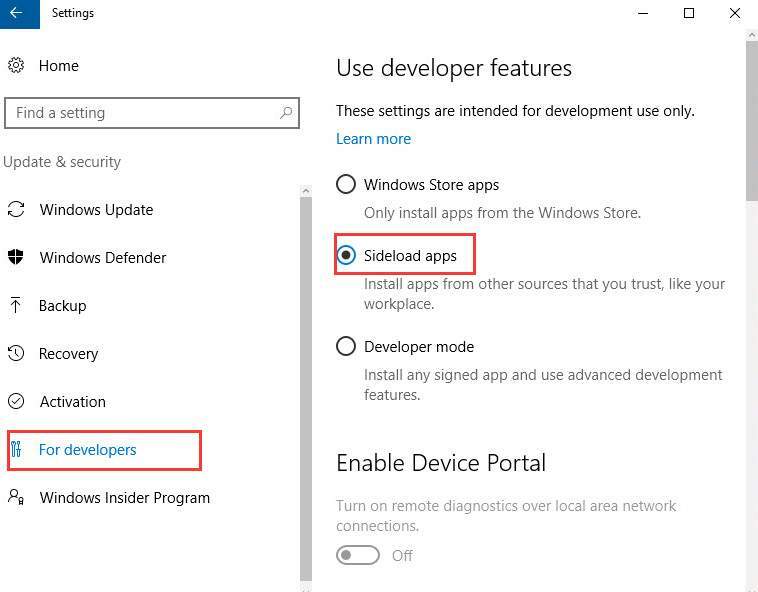 Then click Sideload apps on the right side. 1) If this error happens when you click the program shortcut, try to open the folder it belongs and run it from there. If it still refuses to work, you need to reinstall this program. 2) If you have tried all the above methods but to no avail, please consider try to perform a clean boot. Feel free to leave us comments if you need more help from us.